These two typical printed town share certificates (No. 4 and No. 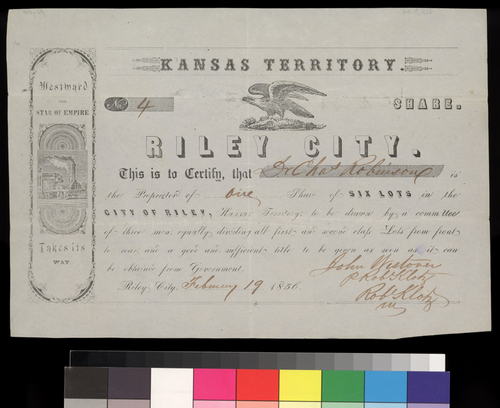 5)each document that "Dr. Chas Robinson" had "one share of six lots in the City of Riley, Kansas Territory." It is signed by John Westover and Robert Klotz at Riley City, Kansas Territory, on February 19, 1856.